Whether you are a new user of hearing aids or you’ve had your hearing aids for a while, you will still need a little guidance on the care and maintenance of your new hearing technology. Your audiologist should have worked closely with you to ensure that you understood all the basic hearing aid needs when you first had your fitting, but that doesn’t mean that you won’t have forgotten some of the basics. Hearing aids are electronic devices that are beneficial to millions of people, but while technology has come along in leaps and bounds over the years, they can still stop working without warning. Hearing aids are worn for hours at a time, so it stands to reason that there is a chance that they’ll break down and stop working occasionally. Being used every hour of the day all day long can mean that stress is placed on the components on the inside of the hearing aid, draining the battery power and making your hearing aids stop working as effectively. To that end, you need to know how to maintain your hearing aids and also know when to seek help from your audiologist for repairs. For the most part, hearing aids choose to fail at the most inopportune times. You could be waiting on an appointment with the Audiology and Hearing Aid Center for an updated piece of tech, and they could fail while you’re waiting – and that’s what’s called Murphy’s Law! 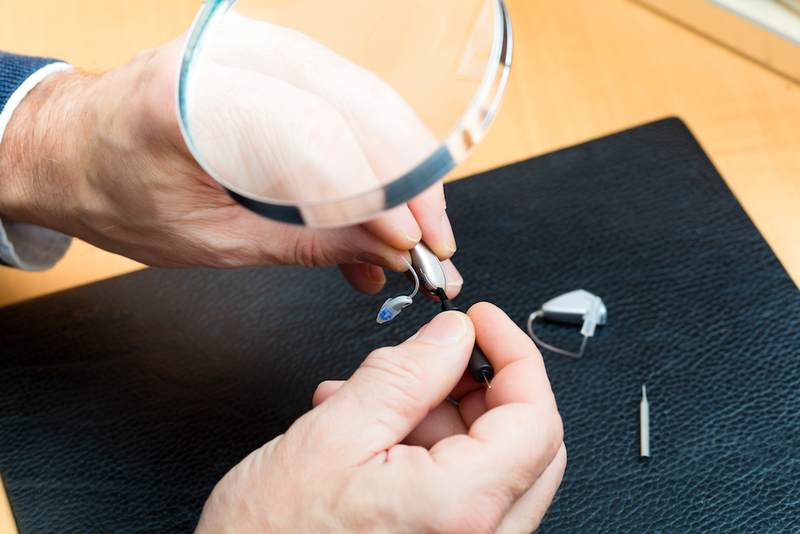 Hearing aid failure is unpredictable, so the only thing that you can do is keep up with the maintenance and repairs so that you don’t end up in a situation where your hearing aids break down when you least expect it. Some of the hearing aid styles out there are subject to stress in ways that the other models aren’t, so the way that you approach maintenance won’t always be the same for each model. They may last for several years, but that doesn’t mean you won’t have to upgrade, repair and prepare yourself for failures. Battery life issues: The life of the battery of your hearing aid depends on things like the size and storage capacity of the battery and the amount of energy required. Signs of battery issues include distortion, intermittence and strange or unusual sounds. Earwax issues: Earwax blocks the ear canals and stops you from being able to hear properly. it can also block the hearing aids. The technical name is cerumen and it’s there to keep your ears safe from disease and infection. However, if you are developing more wax than others, you could find that it clogs the hearing aid tubes, which can prevent you from hearing as well as you could. It’s up to you to keep them free of earwax, including cleaning your hearing aids daily. Ear discomfort issues: As with anything, the hearing aids can be uncomfortable sometimes. Your audiologist would have had you in for an appointment to fit your hearing aids properly, but this can change over time. Poorly fitted hearing aids could need adjustment, so it’s best to seek advice from your audiologist. Moisture issues: Never use water to clean your hearing aids – depending on the type! –, because it could cause a buildup of moisture that can damage the hearing aid itself. The ones worn in the ear have less trouble with moisture, but it can still happen. If you have to be out in the rain or working in wet climates, it’s best to use plastic sleeves to protect the hearing aid from water damage. If you need your battery replaced or you need repairs done in the hearing aid itself, it’s time to book your appointment with the Audiology and Hearing Center. You can contact us for an appointment at (920) 969-1768 and we can get you booked in to talk about your hearing aid maintenance issues.